Superdry men's Washbasket shirt. 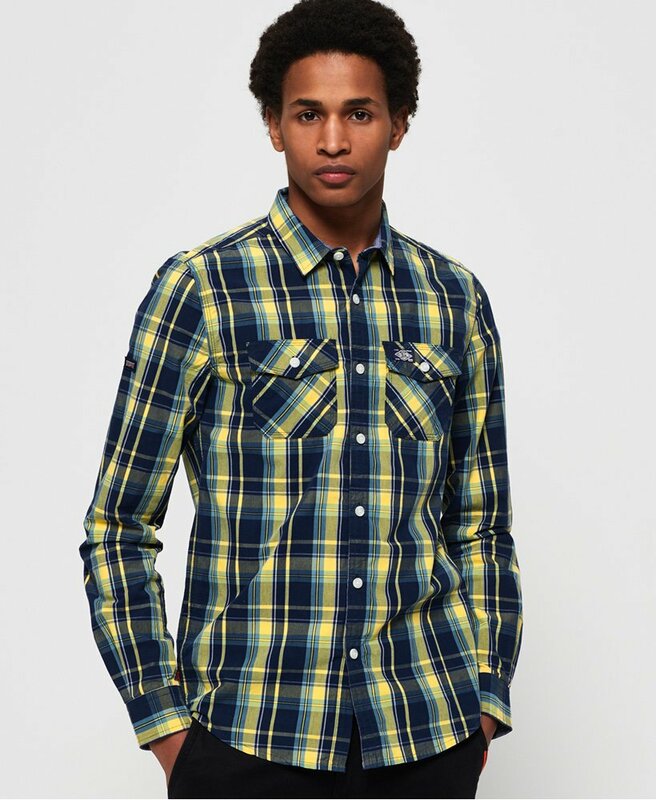 This classic checked shirt features long sleeves with button cuffs, a button fastening and twin chest pockets. Completed with logo badges on the sleeve and pocket, this is a great versatile shirt to have in your wardrobe. Button up and pair with chinos, or wear open over a plain t-shirt and jeans for a more casual look.